Recently, I'd like to migrate the Remote Desktop Gateway Server from Windows Server 2008 R2 to Windows Server 2012 R2 in my lab enviornment. I intend to write down all the steps. 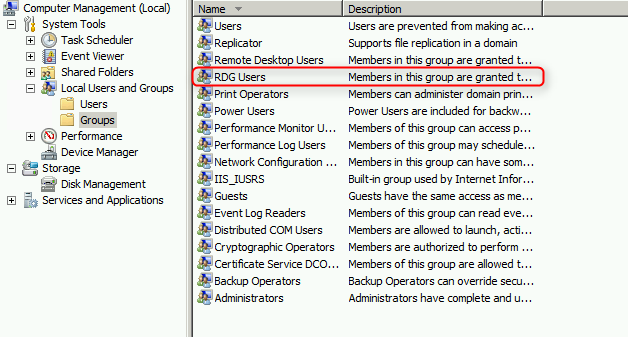 If you deployed the Remote Desktop Gateway server in a workgroup environment, you could be interested in this post. 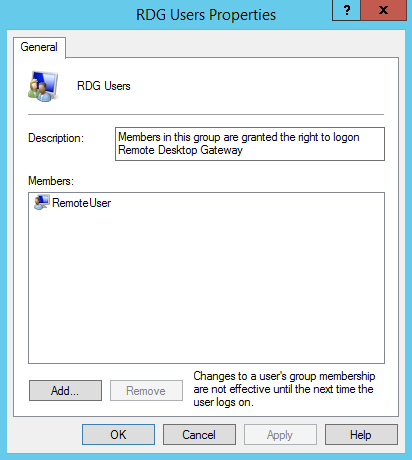 If you want to deploy a new Remote Desktop Gateway server in a workgroup environment, you can read the following posts for your information. 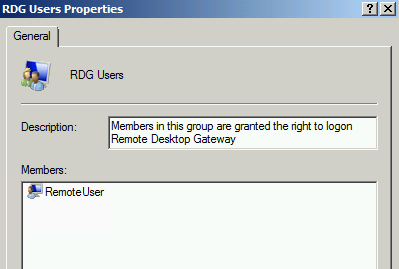 In RDG08, I created a user account named, RemoteUser, and a group named, RDG Users, for accessing in Remote Desktop Gateway. 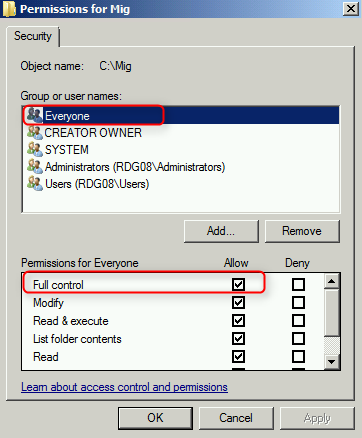 This part is intended to migrate the local user accounts and groups from RDG08 to RDG12. 8. 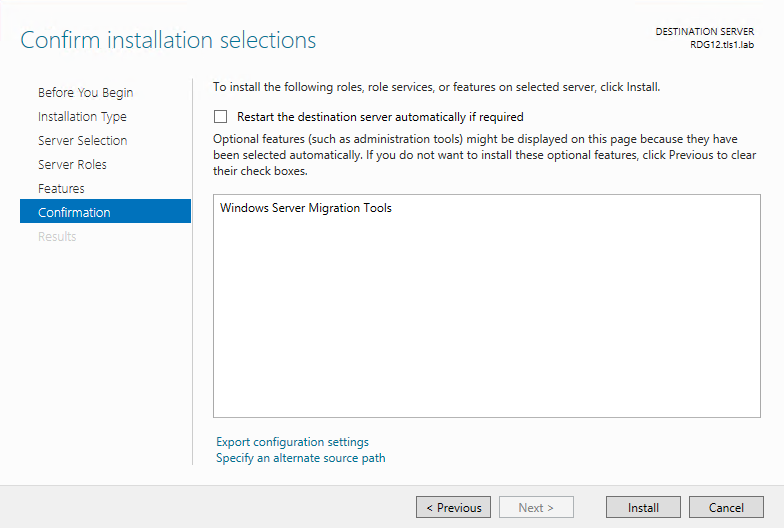 On "Features" window, check "Windows Server Migration Tools" option. 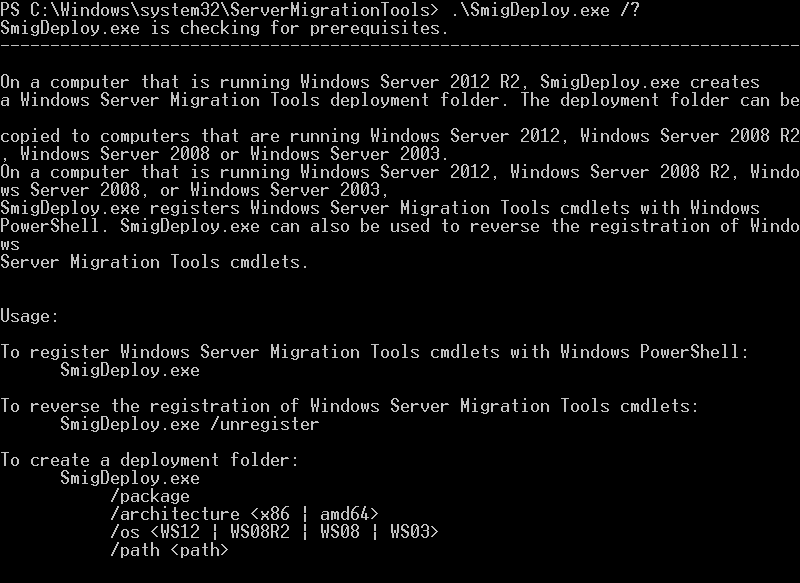 We can also use cmdlet to install "Windows Server Migration Tools" by entering "Install-WindowsFeature Migration". 1. Still in RDG12, launch "Windows Server Migration Tools". 2. On "Windows Server Migration Tools" Command Prompt, navigate to "C:\Windows\System32\ServerMigrationTools". 3. Perform ".\SmigDeploy.exe /package /architecture amd64 /os WS08R2 /path \\10.100.100.2\Mig" to create a deployment folder package for Windows Server 2008 R2 to export settings. Windows Server Migration Tools supports x86 and 64 architecture and the following OS: Windows Server 2003, Windows Server 2008, Windows Server 2008 R2 and Windows Server 2012. 4. Go to RDG08, log in as Local Administrator. 5. 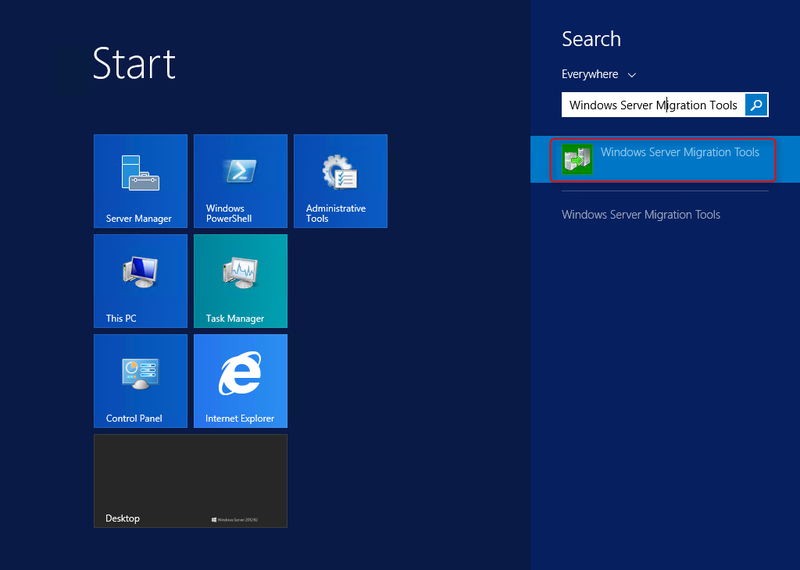 Launch "Command Prompt" as administrator and then navigate to "C:\Mig\SMT_ws08R2_amd64" folder which is the deployment package of Windows Server Migration Tools. Then the PowerShell window started automatically. 7. 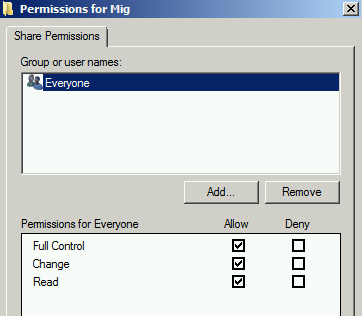 Perform "Export-SmigServerSetting -User All -Group -Path C:\Mig\UserData" to export and local users and groups data to a file. 8. Provide a password for the file. 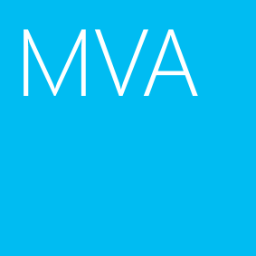 The data file, svrmig.mig, has been created in C:\Mig\UserData. 9. 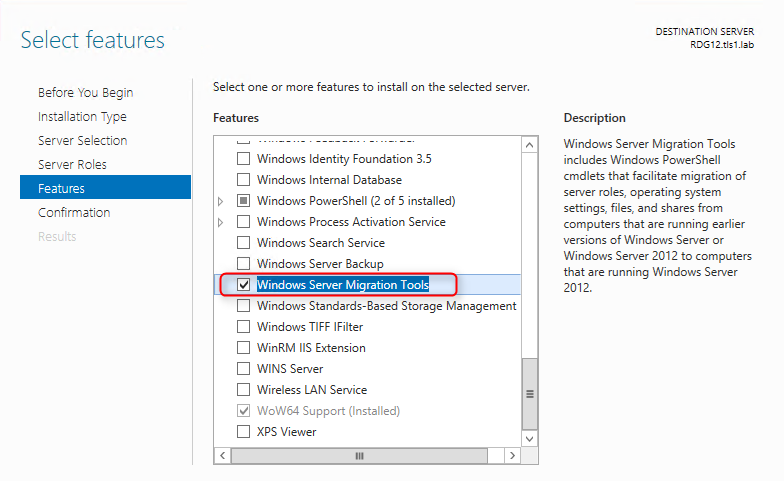 Go to RDG12, select the "PowerShell" of "Windows Server Migration Tools". 10. 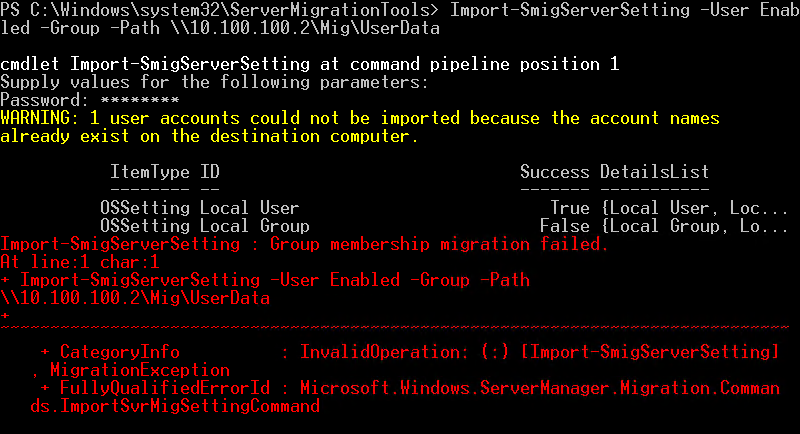 Perform "Import-SmigServerSetting -User Enabled -Group -Path \\10.100.100.2\Mig\UserData" to import the data from the file, svrmig.mig. 11. Enter the same password which you entered before. The error is related to an account, IIS AppPooL\DefaultAppPool to add into IIS_Users, because RDG12 hasn't been installed the IIS feature. We can ignore this error. 12. 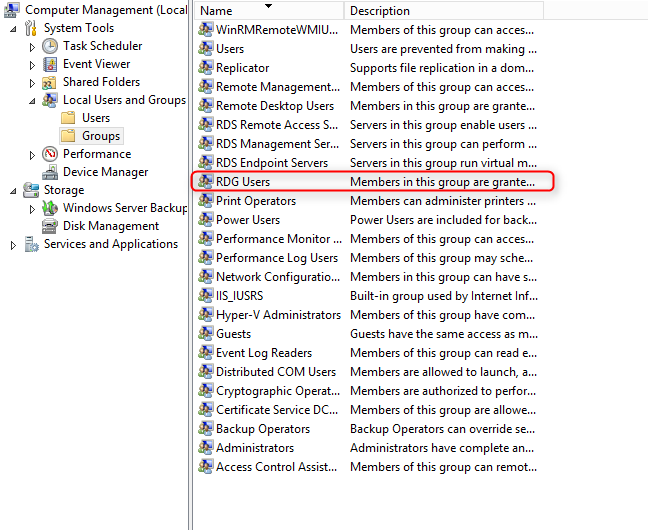 Launch "Computer Management" and then navigate to "Local Users and Groups > Users". The RemoteUser has been migrated but the account is disabled. It's normal after migration. 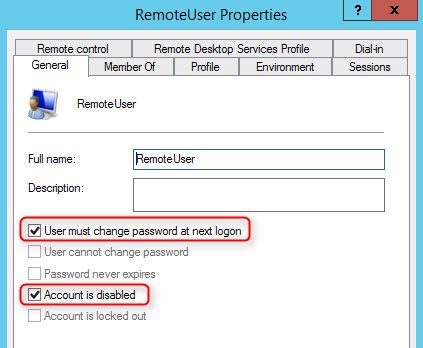 The account is required to change the password when next logon because the password cannot be migrated. There is no password for this account at this moment. Administrators may need to assign a new password for all migrated user accounts. 14. Un-check "User must change password at next logon", click "OK". The group members information also migrated. As a result, we have migrated the user account and group from RDG08 to RDG12. 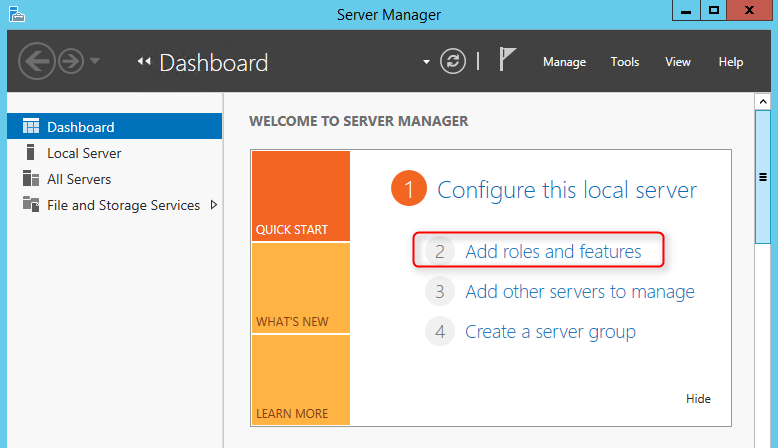 We can uninstall the "Windows Server Migration Features" in RDG12. Please go to the following web sites to read the next of this series.